As well as providing accessible and robust strategic advice, we take care of land referencing, document production, access to land for surveys, acquisition and land assembly, and we also offer expert witness services. For infrastructure and utility clients obtaining appropriate rights for access onto land to carry out works is fundamental and plays a vital part in the successful delivery of capital works programmes and projects. Our clients rely on our experience in negotiating easements and wayleaves for a range of purposes, and we have acted across many sectors including electricity and gas, water, transport and rail. Carter Jonas’ infrastructure team is experienced with negotiating land entry for maintenance of existing assets as well as securing rights for new infrastructure, from underground pipes, cables to acquisition of land for above ground operational installations. Our project experience further extends to renewable energy and having acted on a number of high profile rail and other utility projects gives us unparalelled depth of expertise. Records of condition for land and buildings. Before the Government can authorise the taking of land for development (whether the purpose is for projects in transport, utilities, residential, commercial or infrastructure) it has to show that every effort has been made to identify parties whose land and rights might be affected. The people who do this are called Land Referencers, and here at Carter Jonas our diversely skilled individuals work on some of the UKs largest and significant projects for a wide variety of public and private sector clients using knowledge in Compulsory Purchase Orders, Transport and Works Act Orders, Development Consent Orders and Hybrid Bills. We use a proven methodology, and our practices and processes ensure diligent enquiries are undertaken. This process driven methodology means that all known parties who are potentially affected by the proposed development will be notified in accordance with the legislation guidelines under which the project is being delivered. High Speed 2 Property Cost Estimate – Client: High Speed Two Limited. Carter Jonas Infrastructures Team specialise in the telecommunications sector acting for Landlords throughout the country. Our dedicated telecoms consultancy team have a unique insight into the telecoms sector having previously worked for the operator’s whilst still maintaining extensive associations with all the Major Telecoms Companies. We oversee and manage some of the UK’s largest telecoms portfolios. Our varied client base ranges from individual farmers to many landed estates, utility companies, commercial property businesses, investment companies and many Local Authorities throughout the UK. This is a fast-moving market, as evidenced by the enormously swift technological advances and the phenomenal rise in smartphone usage. 5G is on the horizon and is composed for considerable and rapid expansion. Our knowledge, experience and understanding of the changing needs and demands of the operators is essential in securing the best possible deal for landlords and their mobile phone masts. Our specialists can advise you on all aspects of land consents and acquisition that arise on major infrastructure projects – from inception right through to project delivery. Mark Hall-Digweed heads the Infrastructures department, where he has developed the team to deliver project management, land agency and property consultancy services to utility, public sector bodies and civil engineering organisations. The team is very successful and has grown to attract large clients such as Network Rail. Mark was also appointed in 2010 to lead Carter Jonas’s cross divisional Public Sector Group, where he is responsible for developing clients with complex multi-faceted requirements. Marks primary skills include multiple site management, high level negotiation and dispute resolution, programme management and the implementation of new systems, estate management, as well as compulsory purchase and compensation work. He has high levels of experience in all of the above. Andy deals with all aspects of measured survey including Building Information Modelling (BIM) and flood risk assessment. He has extensive experience of drones and satellite technology for land classification and planning operations. Mark is part of the infrastructures team and his principal role is advising on compulsory purchase, compensation and valuation. He acts for claimants, who’s residential, commercial, agricultural or development property is affected by compulsory purchase, and also for acquiring authorities promoting compulsory purchase orders, land assembly and the acquisition of rights over land. Mark has advised on compulsory purchase and valuation since starting practicing as a surveyor in 2006 and has represented significant clients on schemes including the Northern Line Extension, Bexhill to Hastings Link Road, A21 Dualling and the Bank Station Capacity Upgrade. Other than compulsory purchase his professional background is in rural surveying and agricultural property valuation, and he is a RICS Registered Valuer and a Fellow and examiner for the Central Association of Agricultural Valuers. Simon has over 13 years of professional expertise advising both acquiring authorities and claimants from the public and private sectors across transport, infrastructure and regeneration schemes. Clients include Network Rail, Transport for London and Buckinghamshire County Council. For those promoting powers, Simon has significant experience in all aspects including formulation, referencing production of CPO documents, objection management, and implementation of powers and negotiating claims. He is leading land and property teams on a number of significant projects across the country including East-West Rail Phase 2, AVTM Metrobus and Havering Housing Zone. Simon has experience in valuation, claim negotiation and drafting scheme objections He has given evidence at CPO Inquiries and Hearings and has prepared expert evidence for the Upper Tribunal (Lands Chamber). Simon is a member of both the Compulsory Purchase Association and the National Infrastructure Planning Association and an RICS Registered Valuer. Paul is a Partner, and Head of Compulsory Purchase based out of our Head Office at Chapel Place, London. Steven Drennan is based in our Chapel Place office in London and is a Partner in the Rural team. Ben’s role is providing land assembly services for infrastructure and regeneration projects, either through private treaty negotiations or if necessary through Compulsory Purchase Powers. He assists acquiring authorities promote and implement Compulsory Purchase Orders, including negotiating claims with affected parties whilst assisting authorities create and maintain realistic property cost estimates. Ben qualified as a Chartered Surveyor in November 2013 following past roles as a Compulsory Purchase Surveyor as well as working in property management and as a commercial agent. He has therefore gained a wide breadth of experience, but his specific expertise is in compulsory purchase and compensation. Partner in the Energy and Marine team. Experienced Environmental Consultant and Project Manager with particular expertise in energy and infrastructure developments. Advises on and manages projects from initial feasibility through to completion. Can provide professional advice and assistance with site screening, site search, feasibility, environmental impact assessment, planning, land matters, due diligence and valuation, contract agreements, financing, insurance, design and civils, grid connections, metering, power purchase and accreditation's. Why should I be thinking about EV charging points? We consider infrastructure to refer to the necessary transport, utilities and other major related engineering developments. We can provide all aspects of land and property and related services that are required in connection with the implementation of any infrastructure project. Whether that be the serving of compulsory purchase orders, negotiation of access, purchase of land, compensation claims, or even providing the erection of newt fencing or the removal of contaminated needles! I have received a CPO notice, can you help? Yes we can, in fact by acting for you, we can protect your interests and negotiate for you, ensuring you get the best value out of the compulsory purchase process. Our team has invaluable experience of the first Crossrail project, acting for both claimants and the acquiring authority. For an initial obligation- and cost-free meeting, please get in contact. 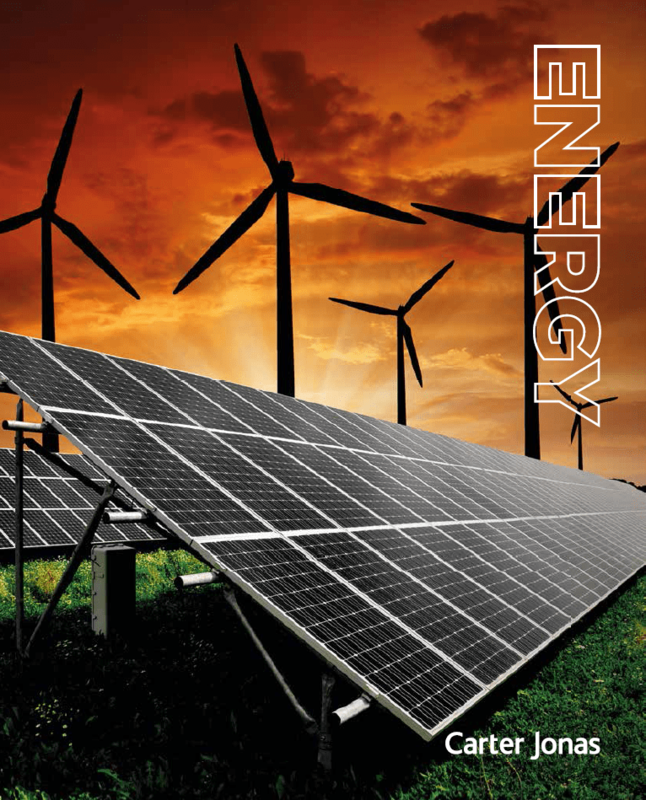 View all of our Energy Bulletin's which are exclusively emailed out each month.